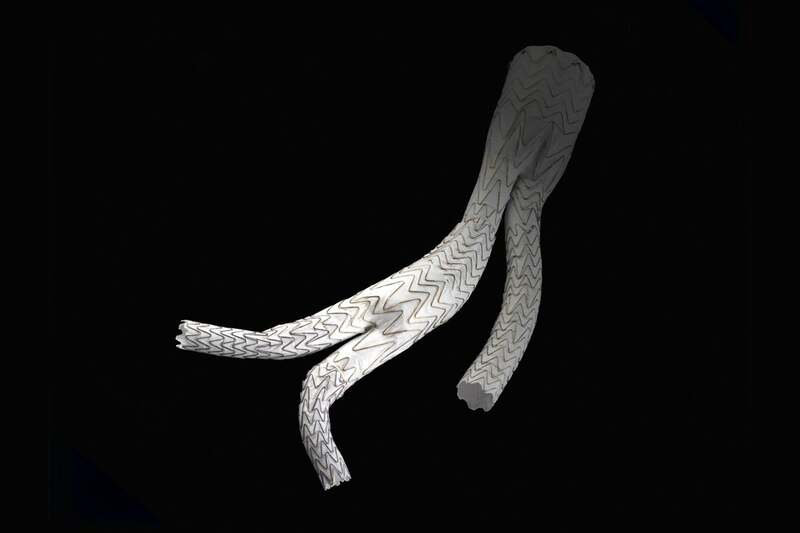 The GORE® EXCLUDER® Iliac Branch Endoprosthesis is the first off-the-shelf aortic branch solution approved in the U.S. and is fully designed to preserve blood flow to external and internal iliac arteries. Chaikof EL, Dalman RL, Eskandari MK, et al. The Society for Vascular Surgery practice guidelines on the care of patients with an abdominal aortic aneurysm. Journal of Vascular Surgery 2018; 67(1):2-77.e2. Moll F.L., Powell J.T., Fraedrich G., et al; European Society for Vascular Surgery. Management of abdominal aortic aneurysms clinical practice guidelines of the European Society for Vascular Surgery. 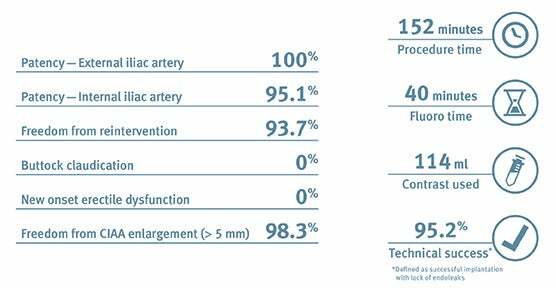 European Journal of Vascular & Endovascular Surgery 2011;41(Supplement 1):S1-S58. Schneider D.B. One-year US results of GORE® EXCLUDER® Iliac Branched Endograft: Advantages and limitations. 3. Presented at the 42nd Annual Symposium on Vascular and Endovascular Issues, Techniques, Horizons (VEITHsymposium); November 17-21, 2015; New York, NY.